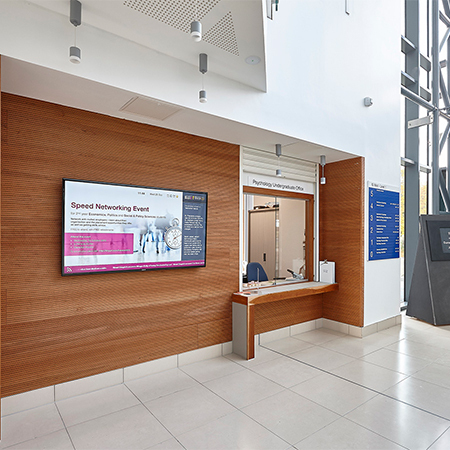 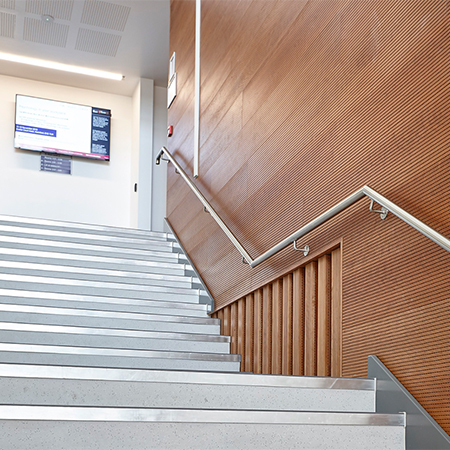 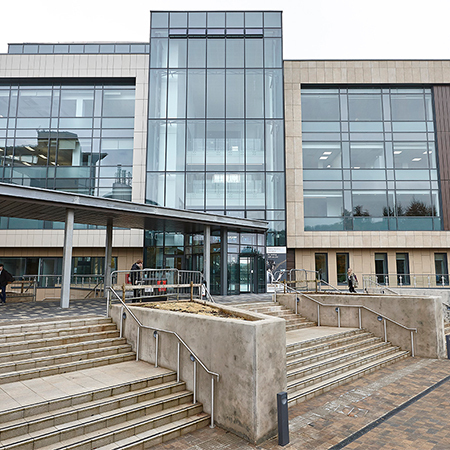 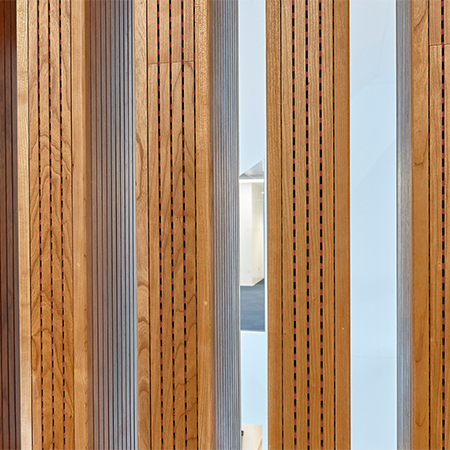 Acoustic GRG has supplied Spigo Group’s acoustic wood panelling for a new teaching and research building at Bath University. 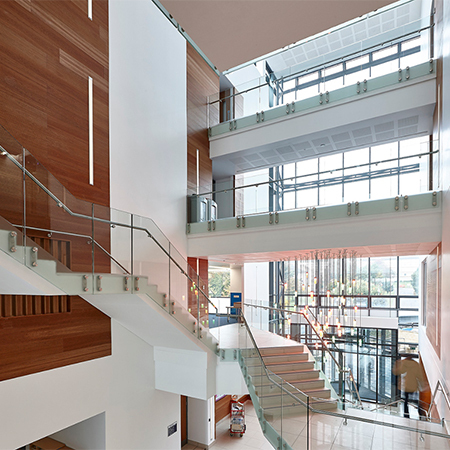 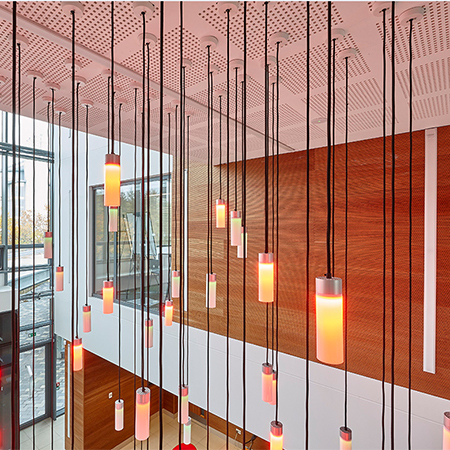 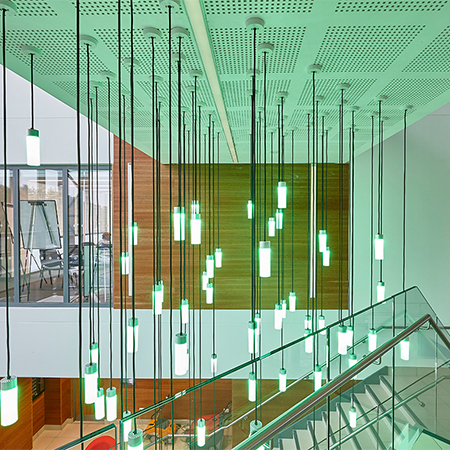 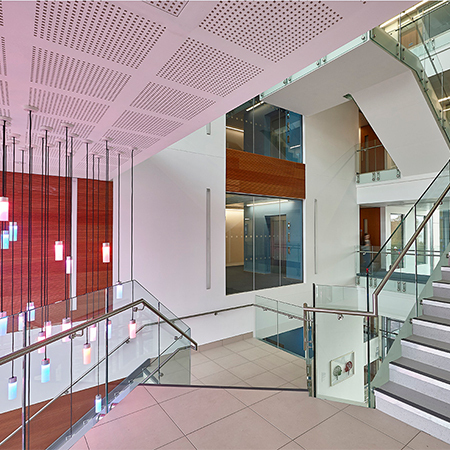 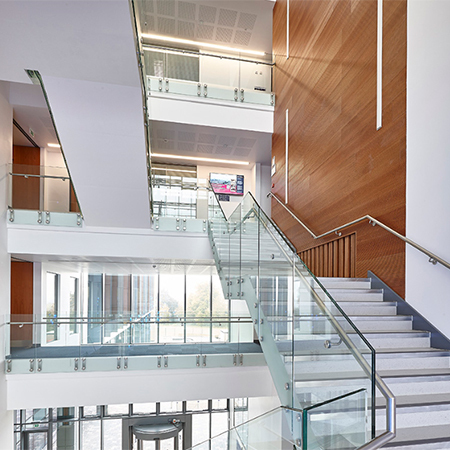 Due to the demands of the campus an acoustic solution was needed to cope with the throughfare of the building to enhance the aesthetic of the unique design. 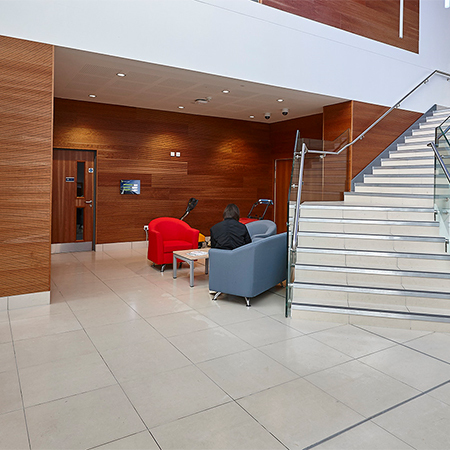 Acoustic GRG were asked to recommend a product that would enhance the area whilst complimenting the design. 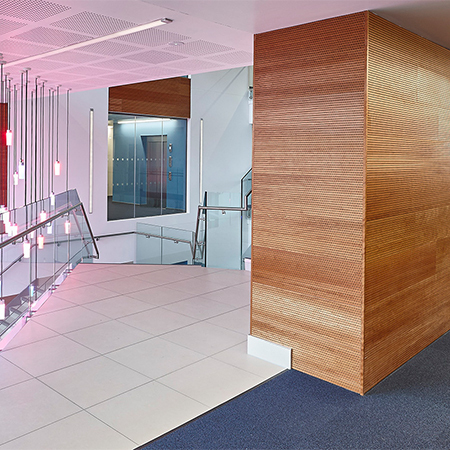 GRG supplied Spigo Group’s acoustic wood panelling in Class 0 MDF with a real wood Cherry Veneer finish in various areas for acoustic performance to a minimum class B.
GRG's team of installers sized and fitted the Spigo acoustic wood panels throughout the atrium to include cut outs and they sent photographer Adam Coupe in to capture the transformation.